In this episode, we discussed the trade of Patriots linebacker Jonathan Bostic, and also the restructured contract of Danny Amendola. Later on, we had several subjects we debated in a section we call the Patriots Fourth And Two Roundtable. I invite you to listen to one of our best episodes. This entry was posted in Patriots Commentary, Patriots News, Patriots Podcast and tagged 53 Man Roster Projection, Bill Belichick, Danny Amendola, Jonathan Bostic, Julian Edelman, New England Patriots, Rob Gronkowski, Rob Ninkovich, Tom Brady on May 11, 2016 by Russ Goldman. The Patriots lost an iconic figure with the retirement of Jerod Mayo this week, and while it wasn’t entirely unsuspected it leaves the Patriots with a depth issue behind starters Hightower and Collins. Those two are arguably the best pair of linebackers in the league and the team’s immediate concern is locking them up long-term. When each missed time last season, the team relied upon both Mayo and Freeny who was primarily known for his special teams play. With Mayo now retired, who will they look at to play some important snaps and keep Hightower and Collins fresh. Bostic would seem a likely choice, he was a starter in Chicago before coming over last season but played primarily on STs. With a year in the system could his role increase? Surely, but at this point, I wouldn’t expect the team to be banking on his rise. Fleming, Snyder along with Fletcher, Watson and Johnson if they return are strictly depth type players. Which leaves the Patriots in a position to fill an important slot before training camp begins in July. They could address this in the draft or via free agency. Here are a few free agents that could be on their radar, beginning with a guy that they’ve targeted in the past. This entry was posted in Patriots Commentary, Patriots News and tagged 2015 NFL Season, 2015 Patriots, 2016 free agents, 2016 NFL off-season, 2016 Patriots Roster, 53 Man Roster Projection, Bill Belichick, Bruce Irvin, Danny Trevathan, Darius Fleming, Dekoda Watson, Dont'a Hightower, Jamie Collins, Jerod Mayo, Jonathan Bostic, Jonathan Freeney, Kevin Snyder, New England Patriots, NFL, Patriots, Patriots linebackers, Rob Gronkowski, Rolando McClain, Shea McClellin, Tom Brady on February 18, 2016 by Steve Balestrieri. The Patriots have a couple of decisions to make in regard to free agents this off-season, but they are mainly to do with their role players and not with the starters like last year or the upcoming 2017 season. One of their free agent signings this offseason and a player who spent three different stints with the team in 2015 was linebacker Dekoda Watson. Watson spent time with the Bucs, Jaguars and Cowboys before being signed by the Patriots in May of 2015 bringing the roster to the 90-man limit at that time. He was originally drafted by the Bucs in the 7th round of the 2010 NFL Draft with the 217th pick from Florida State. He was released at the end of training camp, signed in mid-September, released again a few weeks later and was re-signed in December and played well down the stretch for the Patriots. He kept in shape and was ready once he got the call to come back. His best season came in 2013 with Tampa Bay where he produced 42 tackles, two sacks, one interception, one forced fumble, one fumble recovery, one pass defensed, three tackles for loss and one blocked kick. He’s a fast, disruptive linebacker who can be a liability in coverage against running backs. The 6’2, 240-pound linebacker is slightly undersized but runs with good speed, logging a 4.55 in the 40-yard dash at the NFL Combine. And despite his stature, he’s a physical downhill player, a good tackler and plays off blocks pretty well. He can blitz off the edge and has a good initial burst. Watson also has good play recognition and has a quick reaction time. During the AFC Divisional Round against Kansas City, when Chandler Jones left with an injury, Watson filled in at defensive end. “Dekoda gave us some good rushes there on the edge,” Bill Belichick said after the game. Given his versatility, besides filling in for Jones at defensive end, he can play either the SAM or WILL linebacker positions and is a core special teamer. He sprung Danny Amendola for a big punt return against the Chiefs. Why Watson Will Return: Watson is the kind of versatile depth player that Bill Belichick loves to fill the bottom of the roster with. He can play WILL/SAM linebacker positions and as he showed in the playoffs, can even jump in at defensive end. He’s always been known as a good special team player and that aspect of his game served him and the team well against the Chiefs. 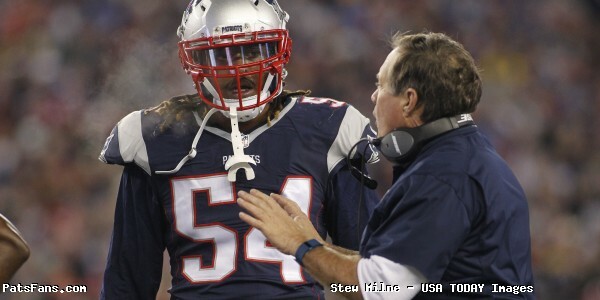 The Patriots need depth at linebacker after starters Jamie Collins and Dont’a Hightower especially with the uncertain return of Jerod Mayo given his three successive years of major injury and his $11 million-dollar cap hit in 2016.If he is resigned, he’ll join Jonathan Freeny, Jon Bostic and Darius Fleming as the team’s depth players. Watson won’t break the bank and he can be signed pretty inexpensively. He has got good speed and is still relatively young, turning just 28 on March 3. Why Watson Won’t Return: The Patriots may look to get younger and get another bigger run stuffer in the draft already having Fleming and Freeny on the squad. When Hightower went down with an injury, Mayo filled in but has been slowed by injuries and the run defense suffered. The team lacked that big, physical presence inside. Bottom Line: The money will drive the train here in relation to his coming back, if he wants too much money, which isn’t likely, the Patriots would most likely pass. If they can come to a modest salary cap hit there is no reason to believe that the Patriots wouldn’t entertain at least the possibility of Watson trying to earn a roster spot in training camp. Speaking of which, the biggest impression we remember of Watson during last year’s camp was of him wearing a hoodie under his uniform on those sweltering late July and early August days. Watson is a versatile and speedy linebacker who can be a core special teamer. He won’t be a star, but the back end of the Patriots roster is always chock full of guys like him that have a role and do it well. Jonathan Casillas from the 2014 Super Bowl winning team comes immediately to mind. Watson fits that role to a tee. For that reason and the fact that he already is very familiar with the system, I’d say there is a 70 percent chance that the Patriots resign him and bring him back in 2016. This entry was posted in Patriots Commentary, Patriots News and tagged 2015 NFL Preseason, 2015 NFL Season, 2015 Patriots, 2015 Patriots Season, 2015 Patriots Training Camp, 53 Man Roster Projection, Bill Belichick, Chandler Jones, Darius Fleming, Dekoda Watson, Dont'a Hightower, Jamie Collins, Jonathan Bostic, Jonathan Freeney, New England Patriots, NFL, Patriots, Patriots edge rushers, Patriots Training Camp Photos on February 6, 2016 by Steve Balestrieri. In a new weekly column introduced on PatsFans.com entitled “Getting Social with Bob Socci”, I was graciously granted the opportunity to interview 98.5 The Sports Hub Patriots radio play-by-play broadcaster Bob Socci for his insight and predictions into this upcoming week five matchup with the Dallas Cowboys on Sunday. Who is your breakout player for either Dallas or NE this week? Position matchup/battle to look for? 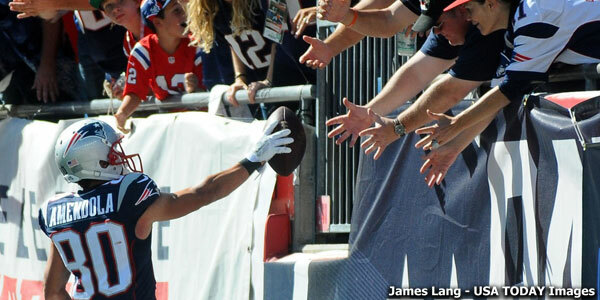 What Patriot players will make the most improvement going into this week? So long as he’s on the field, if he gets on the field, there’s only one way to go for Bradley Fletcher – Bob Socci on Fletcher heading into Week 4. Bob Socci has held the position of Patriots radio broadcaster since the beginning of the 2013 NFL season, taking over for longtime play-by-play man Gil Santos. He has called two AFC Championship games and the Patriots Super Bowl XLIX victory in February 2015. 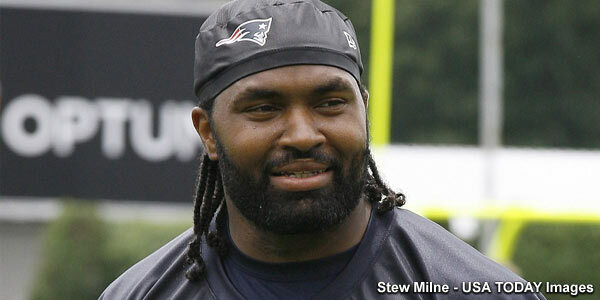 He can also be heard weekly during football season on Patriots.com. This entry was posted in Patriots Commentary, Patriots News and tagged 985 The Sports Hub, Akiem Hicks, Bob Socci, Bradley Fletcher, Jason Witten, Jerod Mayo, Jonathan Bostic, Khyri Thornton on October 9, 2015 by Robert Alvarez. The New England Patriots rolled to a 34-point victory Sunday, dominating an overmatched Jacksonville squad. This felt like a homecoming football game scheduled to please the alumni for an SEC powerhouse as the Pats, who were favored by two touchdowns, scored on every possession with the exception of a game-ending kneel down. Tom Brady became just the fourth quarterback in NFL history to pass for 400 touchdowns, completing 79% of his passes on the day for 358 yards and two touchdown. The Pats were also successful on the ground, rushing for 125 yards with LeGarrette Blount reaching the end zone three times. Rob Gronkowski had 101 yards receiving, Julian Edelman caught eight passes for 85 yards, and Danny Amendola and Keshawn Martin both had touchdown receptions. The defense came through as well, most notably with a Devin McCourty interception in the first half that set up Brady’s 400th TD which put the Patriots up 20-3. Brady threw some nice deep passes; his passing yardage would have surpassed 400 yards if not for defensive pass interference penalties on Jacksonville. Early in the third quarter following the McCourty pick the Jaguars were flagged on consecutive plays for DPI: the first on a 52-yard post route to Aaron Dobson, and then Gronk was tackled in the end zone for another 24 yards. The next play was Brady’s 400th TD on a pass to Amendola; that all but made the final result official even though there were 24 minutes yet to play as it gave the Pats a 30-3 lead. In other news the Patriots acquired linebacker Jonathan Bostic from Chicago in exchange for a 6th-round draft pick. Bostic was selected 50th overall in the 2013 draft out of the University of Florida. He was Chicago’s leading tackler in 2014, but a combination of injuries left him unavailable for offseason programs and the first three games. That apparently put him in new Chicago head coach John Fox’s doghouse, making the 24-year player available to the Patriots. Considering the potential upside, at this point the trade has to be considered a steal. Running back Travaris Cadet was released in order to make room on the roster for Bostic. 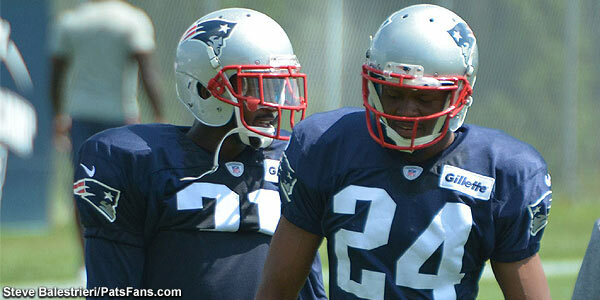 The Patriots also worked out six players this week, including running back Montee Ball. Ball was a second round draft pick in 2013 out of Wisconsin by Denver and averaged 4.7 yards per carry, totaling 704 yards from scrimmage and four touchdowns as a rookie. The Broncos let Knowshon Moreno sign with Miami the following offseason, seemingly paving the way for Ball to become the starter. However, Ball struggled early in the season and after a loss at Seattle he was replaced by Ronnie Hillman as the starter. Two weeks later he suffered a groin injury and eventually landed on injured reserve; by the end of the year he was buried on the depth chart behind C.J. Anderson, Hillman and Juwan Thompson. While the Pats have a nice one-two punch at running back with LeGarrette Blount and Dion Lewis, Ball could be an interesting potential addition if he is fully healthy; the big caveat to that happening is how well he can perform on special teams though – as a backup running back that is a necessity on this team. It’s unfortunate that the Patriots have a bye week so early, as they are clicking on all cylinders right now and appear to already be in mid-season form. New England leads the lead in total offense with 446 yards per game; that’s 32 more yards per game than the next closest team. Their 39.7 points per game is second only to Arizona (42.0), and their 359 passing yards per game is by far the best in the NFL also. The defense is chipping in as well; their five interceptions is third best in the league. After the bye the Patriots are on the road at Dallas and at Indianapolis (won’t that be interesting), followed by a three-game home stand against the Jets, Miami and Washington. The Buffalo Bills did not suffer any letdown after their loss to the Patriots, as they traveled to south Florida and pummeled Miami, 41-14, to advance to 2-1. While three games is too soon to to reach a definitive conclusion, it appears that Buffalo has finally found a quarterback. Tyrod Taylor is completing 75% of his passes with seven touchdown passes to three interceptions, a passer rating of 116.1, and is also averaging 5.6 yards a carry. Taylor was able to stretch the defense with deep, accurate throws; against Miami he was 21-29 for 277 yards with three touchdowns, no picks, and no sacks. Tight end Charles Clay (5 catches for 82 yards and a TD at Miami) has been a nice pickup, and it is worth noting that the Bills were able to score those 41 points without LeSean McCoy. Once Buffalo got an early 14-0 lead, their defense took over. The Dolphins dropped back to pass 51 times, and more often than not the result favored the Bills: 23 incomplete passes, three interceptions and two sacks. Buffalo is now plus-five in turnovers, with eight takeaways after three games. Defensive end Jerry Hughes took advantage of facing a backup left tackle: Hughes harassed Ryan Tannehill all day, with six quarterback hurries and a hit. Linebacker Preston Brown had two interceptions, including a pick-six that blew the game open late in the second quarter. On a side note, in typical Rex Ryan fashion he made two former Miami players captains for the game: Clay, and guard Richie Incognito. Whatever works for you, I suppose. The Bills meet the Patriots again on Monday night in week eleven, but between now and then they have for the most part a very manageable schedule. Next up is a home game against the Giants followed by a road game at Tennessee, and then the toughest part of this stretch: home against Cincinnati. After that they are at Jacksonville and then after a bye the Bills are home versus Miami, at the Jets (for a reunion we will all surely hear about), and then in Foxboro to face the Patriots on November 23. The home opener for the Miami Dolphins went about as badly as could be imagined as they were humiliated by division rival Buffalo, 41-14. That was the worst loss for the Fins since 2010, when the Patriots beat them by the same score. The boo birds were out in full force as the team walked off at halftime, and for good reason. Miami’s first half offensive drives consisted of a three-and-out, five-and-out, five-and-out, one play and interception, six-and-out, six plays and a pick-six, five plays and another interception, and a kneeldown to end the half. The dream team defense wasn’t any better, allowing four first half scores, resulting in a 27-0 deficit at intermission. Off-season talk about winning the AFC East is a distant memory, with finger pointing now focusing on whether coach Joe Philbin should be fired, or if the front office is to blame for the team not living up to the hype. The absence of injured left tackle Branden Albert does not help matters, but Miami’s issues go much further. Maybe defensive coordinator Kevin Coyle will be the fall guy, but Philbin most certainly is in the hot seat. Next up for the Dolphins is another division “home” game as they host the Jets in London; after a bye that is followed by a game at Tennessee, home versus Houston – and then a tough three-game road trip starting with games at New England and Buffalo. The New York Jets missed a golden opportunity as they lost at home in “a messy game” to a reeling Philadelphia Eagles team, 24-17. The Jets turned the ball over four times and were down 24-0 in the second quarter. While the defense did force Philly to punt nine times, they generated only one sack and only one turnover – after creating ten takeaways in their first two games. Getting down that far early forced them out of their comfort zone: the Jets ran the ball just 16 times while Ryan Fitzpatrick threw the ball 58 times. You are not going to win with Fitzpatrick dropping back to pass that often, and the final score was much closer than this game really was. The Jets punted on each of their first six possessions – five of those six were three-and-outs – fumbled the next time they had the ball (more on that in a moment), and then finally scored with six seconds left in the half after they were already down 24-0. In their defense, an already average at best offense was without wide receiver Eric Decker (sprained knee) and running back Chris Ivory (quadriceps), but the bottom line is that they were outplayed in all three phases of the game. Back to that fumble: it’s something you have to see to believe. Brandon Marshall was being tackled, and inexplicably attempts to lateral the ball. The ball is recovered by Philadelphia, setting up a scoring drive that puts the Eagles up 24-0. Next up is a trip to London to face Miami, followed by a bye in week five. 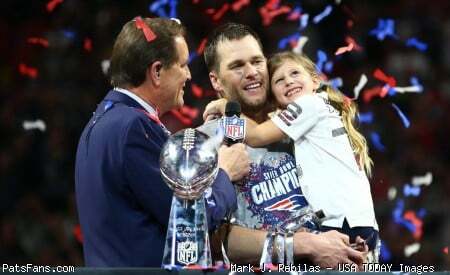 This entry was posted in Patriots Commentary, Uncategorized and tagged Aaron Dobson, AFC East, Buffalo Bills, Danny Amendola, Devin McCourty, Jonathan Bostic, Julian Edelman, LeGarrette Blount, Miami Dolphins, Montee Ball, New England Patriots, New York Jets, NFL, Rob Gronkowski, Ryan Fitzpatrick, Tom Brady, Travaris Cadet, Tyrod Taylor, Week 3 on September 30, 2015 by John Morgan.